My husband and I write about our simple life here on Mama’s Homestead and teach classes on our homestead in central Ohio, where we raise goats, chickens, and rabbits, have an orchard, garden, keep bees, and much more. Here on Mama’s Homestead, we talk and write about homesteading, homekeeping, and things we make homemade. 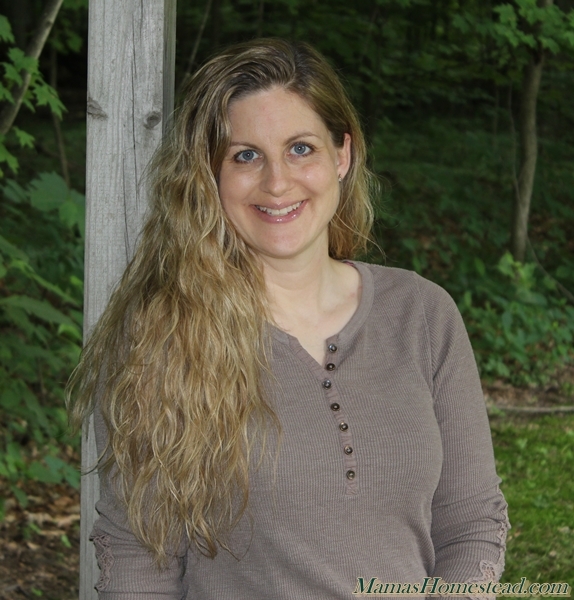 I’m also a Certified Health and Lifestyle Coach at The Nourishing Farmgirl and a Paleo food blogger at Farmgirl Paleo. When I’m not writing about homesteading and creating tasty recipes in the kitchen (and teaching others to do the same), I enjoy spending time with my husband and six children (plus spouses). I also love backpacking, hiking, and camping. I love to express my creativity. Sewing, quilting, photography, homeschooling my two youngest children, and many other outlets take up my extra time.